In 1650 H. Bootz started his distillery in Amsterdam, Holland. One of the first establishments in the city, The icon of The Three Bottles can still be seen on every label in honour of the Bootz family. Bootz brandy is a matured, postilled grape brandy of the finest quality. A tradition waiting to be shared. In 1650 H. Bootz started his distillery in Amsterdam, Holland. One of the first establishments in the city, The icon of The Three Bottles can still be seen on every label in honour of the Bootz family. Bootz brandy is a matured, postilled grape brandy of the finest quality. A tradition waiting to be shared! 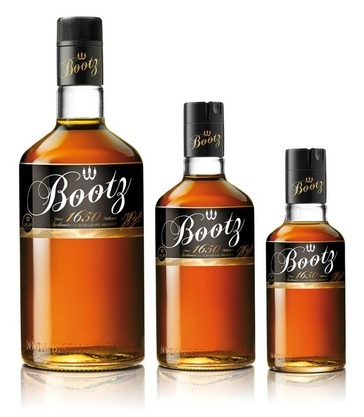 Bootz is one of India's most loved brandy brands. Bootz Music Cds associates with South India's hottest all star calendar "BOOTZ SOUTHSCOPE CALENDAR". It is today a much awaited event in Chennai, Hyderabad and Bengaluru.